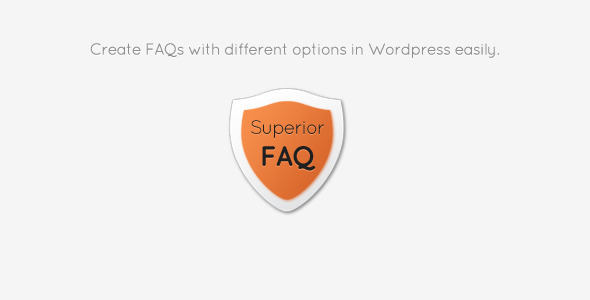 This plugin allows to create FAQs as custom post type and to list them in any page, post or widget area via shortcodes. The plugin comes with a helpful shortcode builder that helps you to set the different attributes easily. This entry was posted in Uncategorized and tagged accordion, custom post type, database, deeplinking, faq, FAQs, feeds, forms, Frequently Asked Question, jquery, media, most popular, permalink, php, scripts, search, sliders, tooltip by Acty. Bookmark the permalink.